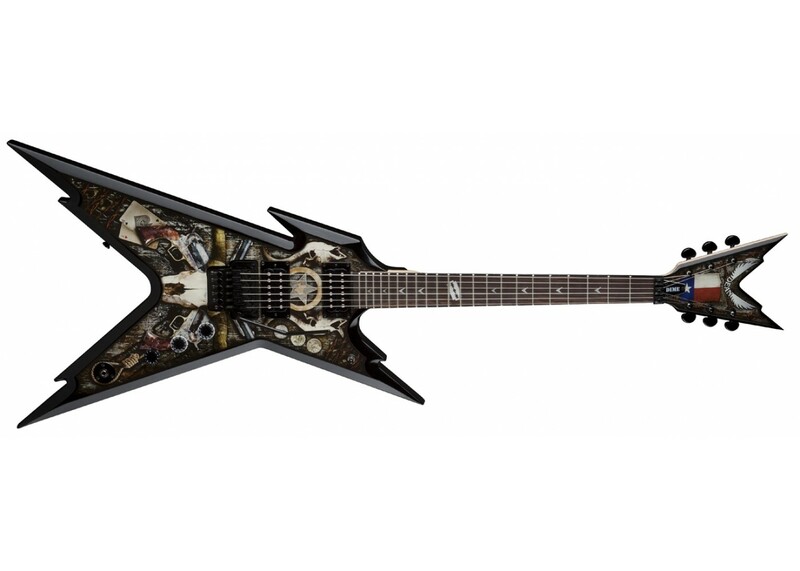 Dean Dime Razorbolt Electric Guitar Black and Silv..
Dean Razorback Dimebag Lightning Floyd Rose Electr..
Dimebag Darrell is well respected for having one of the most extreme tones of all time. 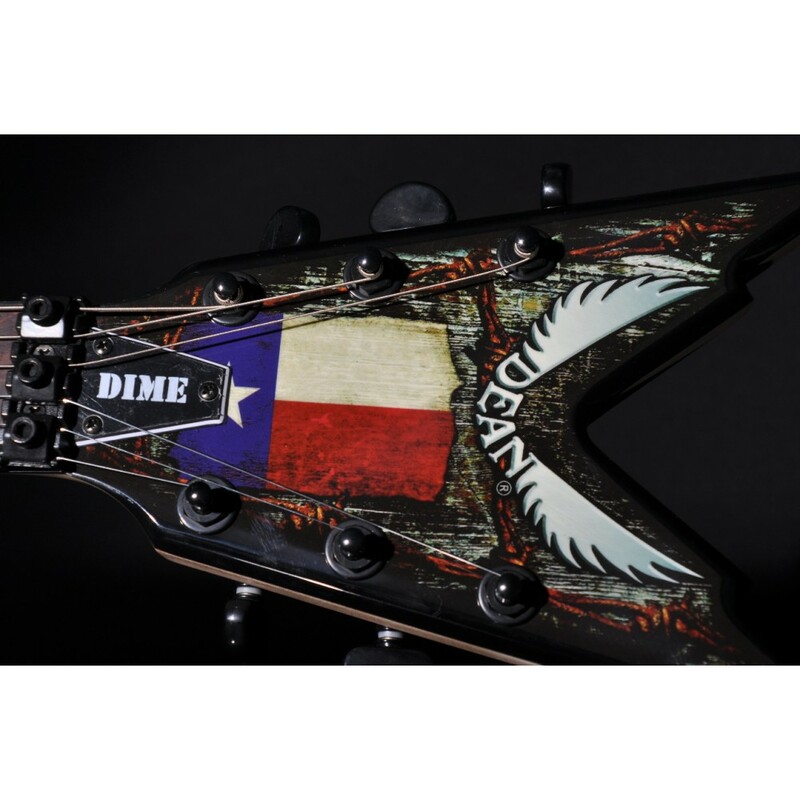 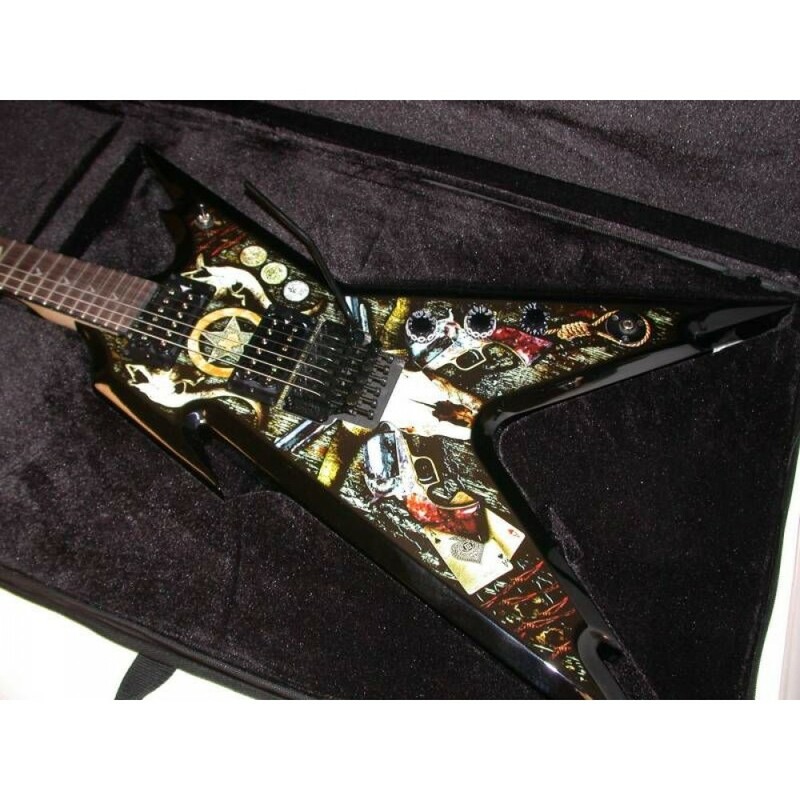 His legacy lives on with the Dean Razorback Dimebag Lone Star Electric Guitars. 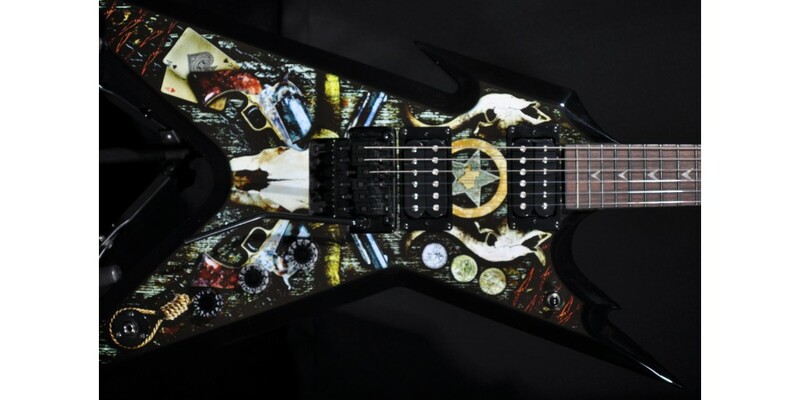 The body has a killer, jagged design with hauntingly evocative artwork. 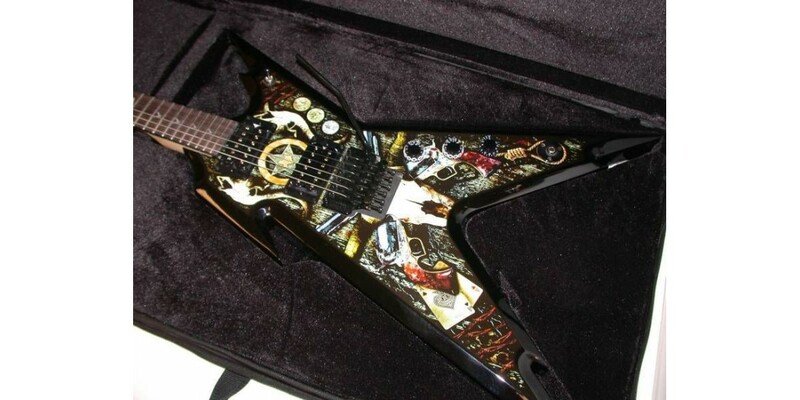 The maple neck boasts a rosewood fretboard with a pearl razor inlay at the twelfth fret to evoke Dime's famous necklace. 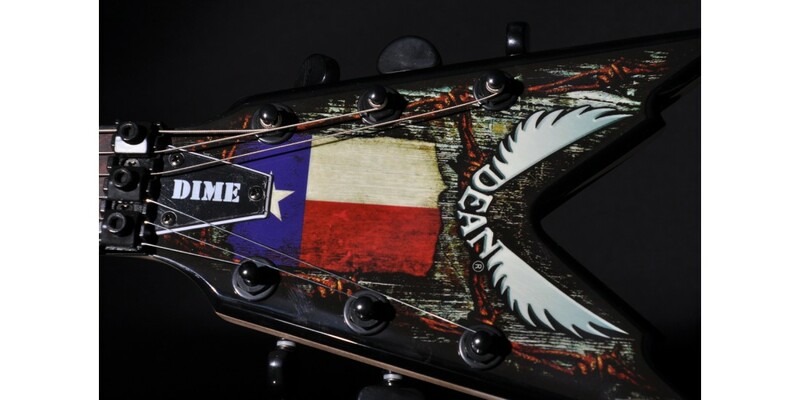 Dean-designed humbucker pickups unleash vicious tone that's sure to put a smile on any Dimebag fan's face. 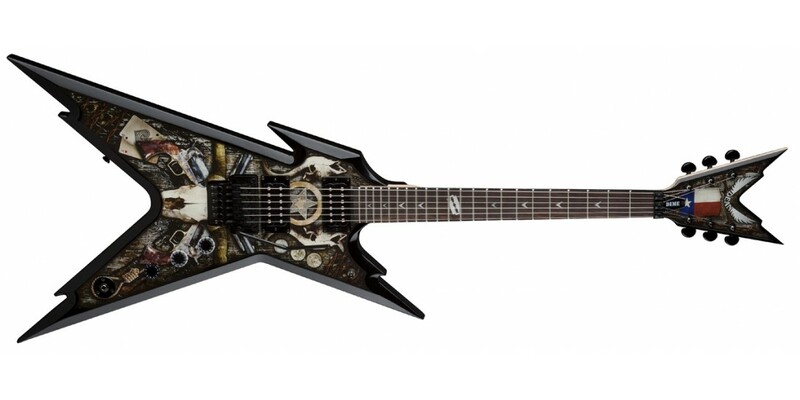 This Razorback DB Floyd Lone Star is finished off with black hardware, Grover tuners, and Dimebag traction knobs. 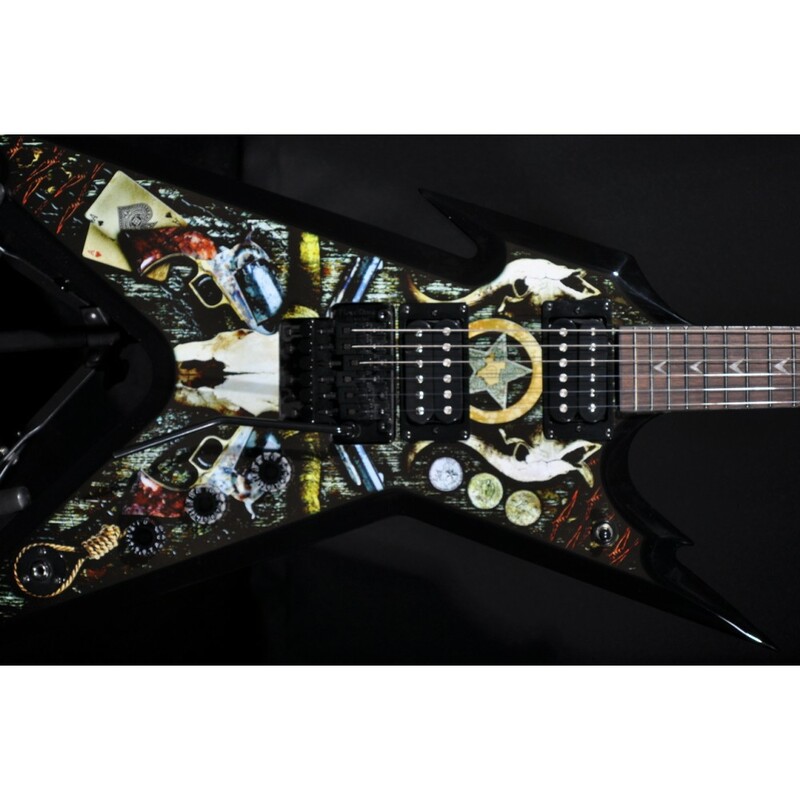 A Floyd Rose Special tremolo bridge ensures exceptional string pyrotechnics.